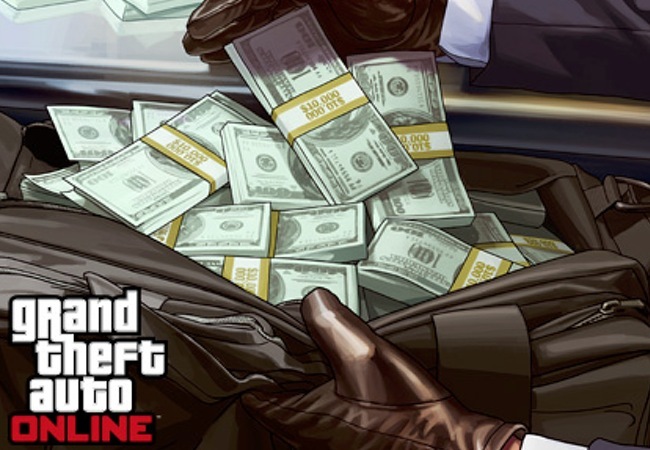 Grand Theft Auto V deserves something special, with it’s September release date we are experiencing more and more Fan Art, Which are not just creative but can portray how far Artists mind can go with the game. 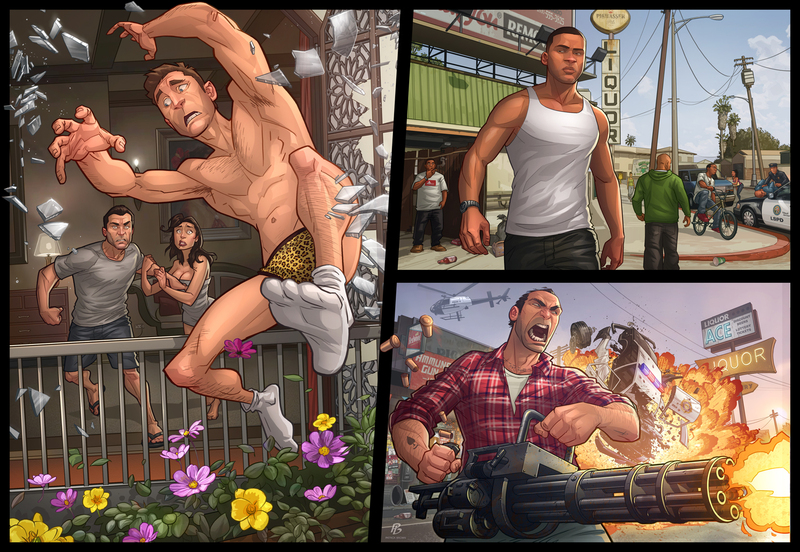 This Artwork portrays the freedom of the game so it’s broken into three scenes, one for each character and portray what types of areas GTA V will include. 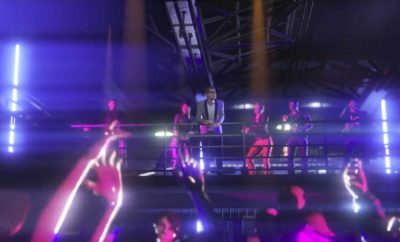 This scene is from the GTA V trailer where Michael catches his wife cheating and he chases the guy through his bedroom window. I thought this would add a bit of humor to the image rather than my usual action packed scenes. I really wanted to capture the hood with this scene, from the trailers we get a good look at what it is like in Los Santos’ ghetos and I wanted to try and get that vibe. From everything we’ve scene with Trevor, he is an absolute loose cannon! So I really wanted to show that in one picture with him. Total chaos would describe him well, but somehow I find him to be my favorite just because he adds that great sense of humor to the game.